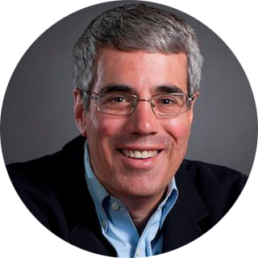 Discover an integrated, comprehensive and proven framework created at MIT for launching new technology ventures. 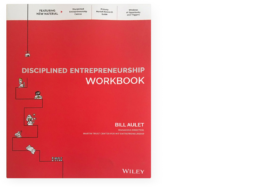 Bill Aulet, a long-time practicing entrepreneur, professor at MIT Sloan School of Management, and Managing Director of the Martin Trust Center for MIT Entrepreneurship, assembled this practical and yet rigorous information into the book he wished he had when he first became a full-time entrepreneur 20 years ago. This 24-step guide to bring products to market more efficiently and the sequel workbook served as the foundation to build the Disciplined Entrepreneurship Toolbox for first-time and repeat entrepreneurs looking to build enterprises based on new innovative products. Disciplined Entrepreneurship has the potential to change the way you think about entrepreneurship. If you thought entrepreneurship cannot be taught, and those who are successful in starting a business are born with something others do not have, you’re in for a revelation. 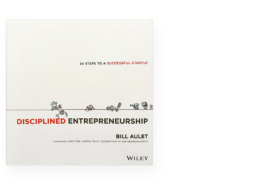 Bill’s book dispels that myth and shows how innovation-driven entrepreneurship can be broken down into discreet behaviors and processes which can be taught to the intelligent, hardworking, people in just 24 steps. 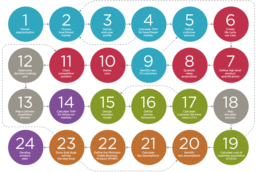 If you’ve read the book, you probably craved a distilled, actionable template that can help you go through the 24 steps. The workbook provides exactly that, a practical manual for working through the 24-step framework presented in Disciplined Entrepreneurship. The Disciplined Entrepreneurship Workbook provides templates and additional advice on how to implement each of the 24 Steps. rather a complement to it. You’ll also discover new material on topics the author has found to be extremely useful in getting the most value out of the framework including Primary Market Research, Windows of Opportunity and Triggers. The book also introduces the Disciplined Entrepreneurship Canvas to track your progress on this journey. Test your understanding with exercises and case studies.